Government is in the process of digitalizing the issuance of Green National Registration Cards (NRCs) in order to enhance service delivery. SMART Zambia National Coordinator Martine Mtonga disclosed this in Kabwe yesterday when he addressed Heads of Government departments at Kabwe lodge. Dr Mtonga also noted that government has approved the Smart Zambia Master Plan and implored civil servants to embrace the use of technology in their day to day operations. 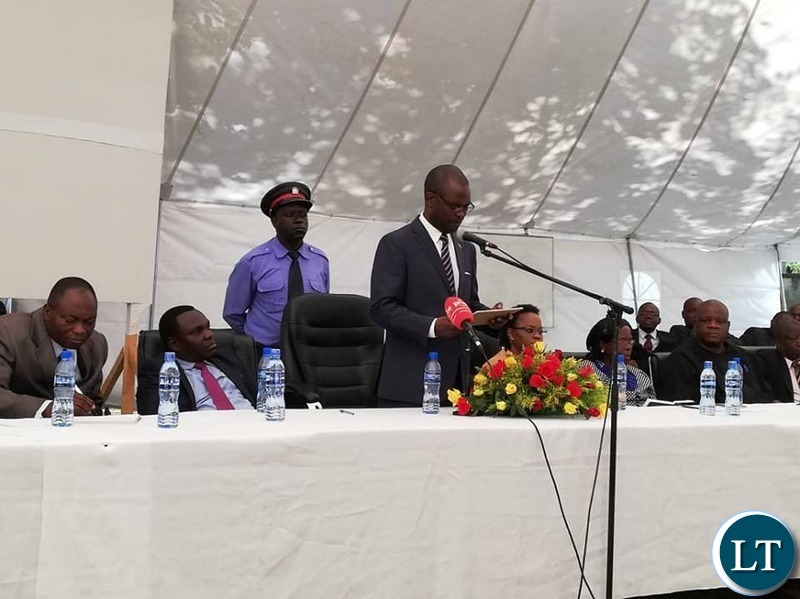 He said the use of the Information Communication Technology (ICTs) had already started showing dividends as the electronic payslips had revolutionized the payment system with over 90 percent of the civil servants having been captured. Dr Mtonga said hospitals would also be digitalized soon so that the use of computers is embraced in health institutions. He further added that all government departments would be added to the Government Wide Area Network that is aimed at enhancing service delivery but warned that abuse of the system would not be tolerated as there will be strict monitoring in place. Earlier, Central Province Permanent Secretary Bernard Chomba urged officers to heed the call to embrace technology and avoid lagging behind. He urged officers not to hesitate to approach him where they faced challenges so that he could coordinate with SMART Zambia in order to achieve a smooth implementation of the use of the ICT programme in the province. We told you….reissue new reg cards to every one and you pay….. This is merely a fund mobilisation exercise for broke PF …. New passports are also coming at cost of K1800 each. The contract has been given to a minister’s sister. Traveling will now only be for the rich. Cross-border traders will be bankrupted. @Spaka mind bender, don’t know about your passport and NRC card, but mine was digitised 10 years ago! Those small electronic passports everyone had to have in 2008_9, are digitised, they also added your NRC no. On them. Correct me if I’m wrong. Every country in the world is going digital, all world citizens are having their data digitised, car license, medical records/hospital systems etc. Etc. They are failing to issue appropriate driver licenses. All they give is a cumbersome A4 license. Where do they take the money people pay for the licenses? It’s not good moving with a Chi A4 for one year and all they say is “We don’t have the material to print!” Are we really ready to embrace ICTs? I advise you to go get your license in a small town like Kabwe. I also applied for a license in September 2018 and came in January 2019 just to be told ati no material. I reapplied in kabwe it came out same time. We have been waiting for the new NRCs since forever. I dont think we will have them. With the current government desperate to stay in power i doubt they will implement. Come 2021 we will still be using the acient NRCs I tell you. Talking and budgeting about same thing year in, year out with no progress. Corrupt administrators now endemic in PF GRZ. COME ON ZAMBIA MOVE FORWARD! @Chite you are right I renewed my driver’s license in December 3 up to now they can’t make a card walking and driving around with A4 license imagine. Why do we renew driving license while ID we don’t? look at Zimbabwe when you get your licence until you die that’s the expire date do you think you can forget how to drive after 5 years or its one way of robbing us?